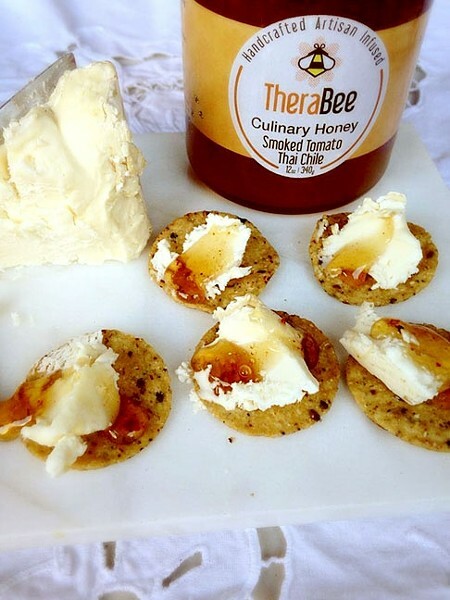 TheraBee Honey co-owner Curt Van Inwegen likes to say that his Cinnamon Vanilla Culinary Honey is a “breakfast honey and dessert honey,” great drizzled atop French toast, with Greek yogurt, or baked into a decadent cupcake. I simply love the fact that he and his wife, Martha, have more than one use for their golden goo. This year, I say ditch the ho-hum plastic squeeze bear (packed with yucky additives and fillers) for TheraBee’s raw, all-natural culinary honey, produced in Atascadero. Your friend or loved one will find 101 uses for the herb-and-spice-injected jars, and I am proof of that. Their Smoked Tomato Thai Chili is unbelievably amazing when brushed over glistening chicken drumsticks or worked into a stir-fry, and their Honey Tea Balls combine just the right amount of black tea and sweetness for an effortless morning experience. Also, no one “doesn’t like” honey. • Where to buy: Lincolin Market at 496 Broad St. in SLO; The Mercantile at 496 Broad St. in SLO; Whole Foods at 1531 Froom Ranch Way in SLO; other SLO County locations listed at therabeehoney.com. What to get The Cool Kid: Chop Top Bottle Co. Whenever I pay a visit to the folks at Chop Top Bottle Co., I feel a little bit like a wuss. Usually, I find Anne Hamilton or her fiancé, Matt Frazier, behind the wheel of a frighteningly loud machine, dust and sparks are a flyin’ (basically, the opposite of clicking away quietly on a laptop). This is what the SLOcal duo call “chopping” and they certainly know what they’re doing. Your favorite beer with the eye-catching, screen-printed brown glass? Chopped, and made into a killer drinking cup. 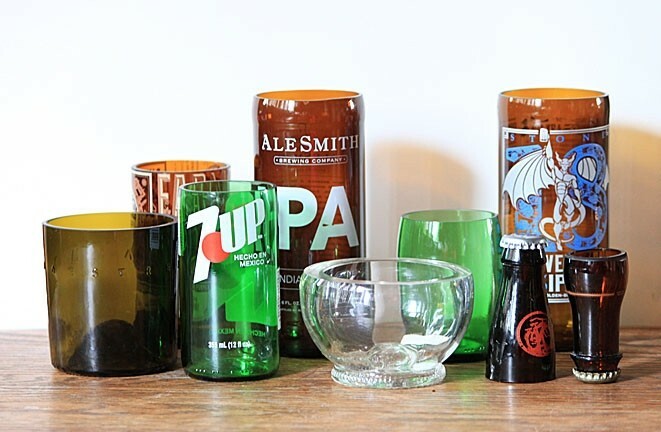 Your retro, green glass 7UP bottle? Chopped, and made into an adorable candle holder. I’ve even seen these guys upcycle old booze bottles into swanky lamps and rockin’ guitar slides. The best part: Custom orders are always welcome, which means you can get your beer nerd of a friend the perfect drinking vessel for his or her No. 1 favorite brew this Christmas. Just like snowflakes, no one Chop Top gift is exactly the same. You hear that, cool kids? Rejoice in your individuality! PHOTO COURTESY OF CHOP TOP BOTTLE CO.
CHOP, CHOP: SLO-based Chop Top Bottle Co. is crafting the coolest cups, candle holders, lamps, guitar slides, and more from upcycled glass bottles. Not only are these gifts 100 percent unique, but you can rest assured they leave behind a miniscule carbon footprint, too. • Where to buy: Prices vary; www.etsy.com/shop/ChopTopBottleCo. You can’t just throw some veggies in a vinegar-packed jar and call it good. Life-changing pickled provisions are canned at the peak of freshness, boasting the perfect balance of crunch, salt, sweet, and spice. Small batch purveyor Stormy T.’s of SLO has garnered die-hard fans with his ridiculously satisfying pickled Brussels sprouts, beets, and carrots, as well as his flavor-packed salsas, jams, and distinctly delicious IPA jelly. Toss a few of his Mason jars into a pretty wooden box with a bottle of local wine and a sprig of native lavender, and you’ve got yourself a holiday gift basket that shines like a Bishop Peak sunset. • Where to buy: About $20; Lincolin Market at 496 Broad St. in SLO; SLO Natural Foods Co-Op at 2494 Victoria Ave. in SLO; General Store Paso Robles at 841 12th St. in Paso Robles. Don’t get him/her yet another edition of The Joy of Cooking. This year, inject some whimsy and adventure into your favorite chef’s reading list. My pick: A glowing graphic novel that stole my heart and taught me how to cook mushrooms properly—two things that I never thought would go hand-in-hand. I’m talking about Relish: My Life in the Kitchen, by Lucy Knisley. The plucky pictorial tome details the Chicago artist’s life through the lens of lusty cheese encounters, buttery French croissants, and even fast food french fries. Charming, compelling, and always with a sly wink, Knisley manages to captivate the imagination while teaching you a thing or two about the world of food. This is a “cookbook” that will find a home on your loved one’s bedside table—which is to say, the very best kind. AN APP FOR THAT: Easy holiday appetizers are a breeze with TheraBee Culinary Honey’s Smoked Tomato Thai Chile speared over a dollop of cream cheese. This is one local gift you may want to purchase for yourself, too. Yes, it’s that good. We all know that you’re supposed to cook with the cheap olive oil and actually eat the fancy stuff. So, why not get the best-tasting, most flavorful local EVOO on the block for the discerning cook on your list? If I am going to dip my bread in a big plate of balsamic and oil, you better believe I am using Pasolivo’s award-winning California Blend, made up of mission and manzanillo olives. Then, I am eating an entire loaf of French bread. But seriously folks, you need to check out the Paso purveyor’s delectable range of flavors, which span lime, lemon, citrus, basil, and rosemary (smells like cozy). All are perfect for whisking into salad dressings or drizzling over meats and veggies. And—amazingly—all are good for you. How can something so healthy taste so decadent? I don’t know and I don’t care. There must be holiday magic involved! • Where to buy: About $30; We Olive; pasolivo.com and at Pasolivo Tasting Room and Olive Mill at 8530 Vineyard Ave. in Paso Robles; The Mercantile at 496 Broad St. in SLO. Reach Hayley Thomas at hthomas@newtimesslo.com.